What are you wearing? 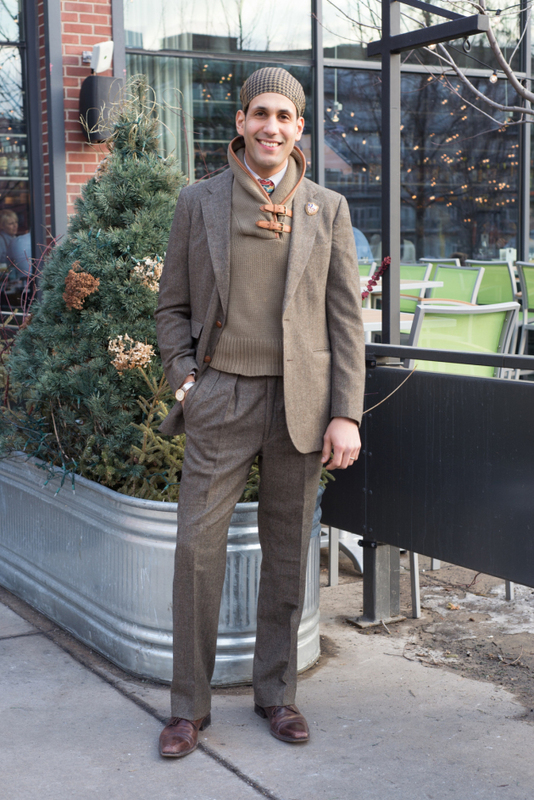 A custom tailored suit by Dapper Dan Michael, Ralph Lauren sweater and a headscarf. Are you going to make any spring style purchases? I love summer suits, they're going to be the new thing this season. What's your favorite North Loop spot? I don't shop in the North Loop. Why is style important to you? I love clothing because it allows me to communicate my authentic self to the world. What are you wearing? 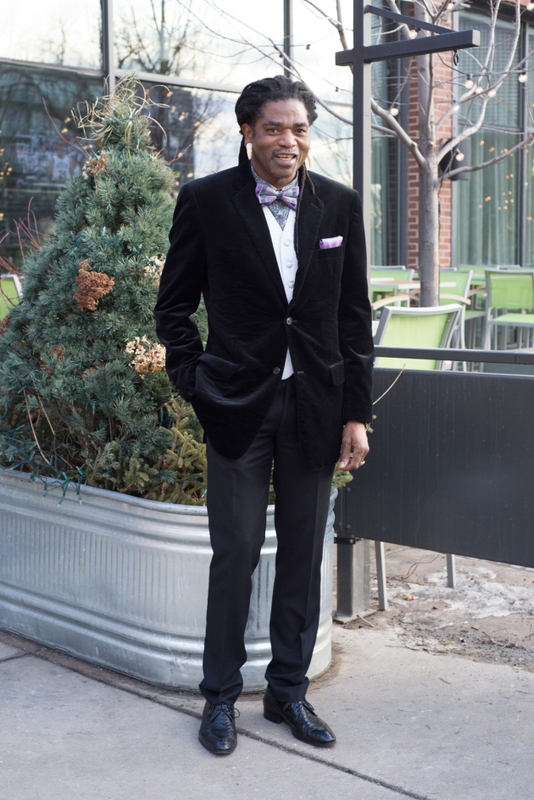 Jacket from ELTON’S Men’s Store in Las Vegas, URock Culture shirt, bowtie, vest, pocket square, and pants from Macy’s, shoes from Couture Consignment. Are you going to make any spring style purchases? Looking for something to wear to the Kentucky Derby. What's your favorite North Loop spot? Monte Carlo. Why is style important to you? Style is the art of showmanship and presentation that brings out the best in me. What are you wearing? Head wrap from FAB.com, necklace from a local jewelry designer Tess+Tricia, blouse, jeans and plum heels from Target. Are you going to make any spring style purchases? I'm looking to expand my wardrobe to include more patterns and colors. I love floral and African prints. What's your favorite North Loop spot? Zen Box Izakaya. It has a great aesthetic and even better ramen! Why is style important to you? It's a way for me to express my individualism. But more importantly, it makes me feel confident. What are you wearing? Gold beaded headband and Guess jumpsuit from Saks Off 5th, leopard wedges from Nine West. Are you going to make any spring style purchases? I have been eying up the Tory Burch Miller sandals since last season. What's your favorite North Loop spot? Crab Shack & Roe Wolfe. Why is style important to you? I am my canvas to express my creativity and individuality through clothing. 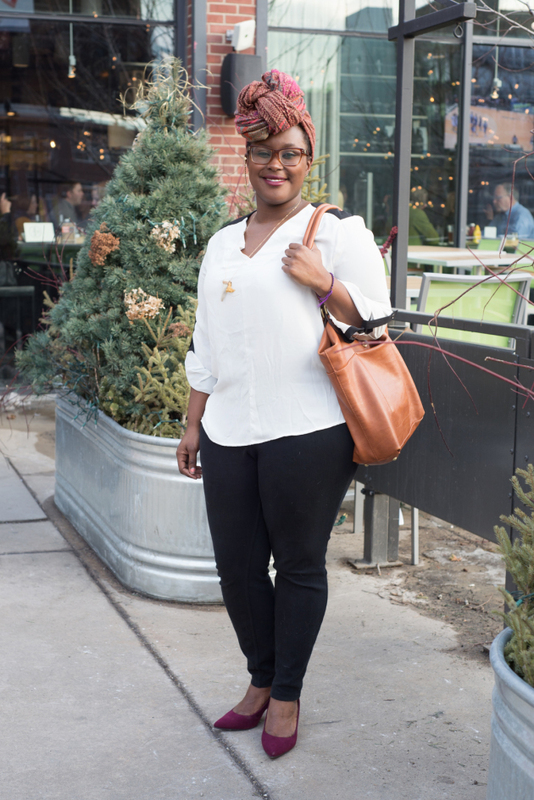 The right outfit gives me confidence and the ability to conquer any situation.